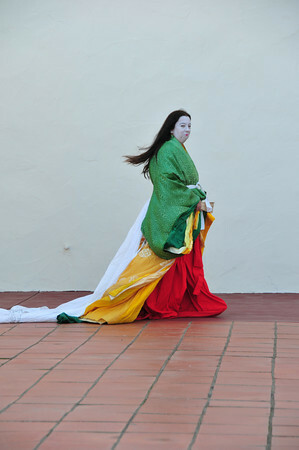 This is the home page of Lisa Joseph, known in the Society for Creative Anachronism as Saionji no Hana. Saionji no Hana holds junior fourth rank in the court of the Son of Heaven, Hisahito-tenno, eighty-ninth Emperor of Japan, at whose behest she represents the people of his Empire and observes the ways of the people of the West Kingdom and other parts of the so called Known World. She is an accomplished poet and seamstress and dreams of returning to the gardens and palaces of The Storied Capital. Who were the Saionji? Saionji Shonagon currently resides in the quaintly redundant Province of the Mists in the Principality of the Mists less than a day's pilgrimage on foot from the birthplace of SCA civilization. She has been a cosmopolitan citizen of the Known World since 1995, with ties to the East Kingdom and friends pretty much everywhere else, thanks to the non-medieval miracle that is the Internet. 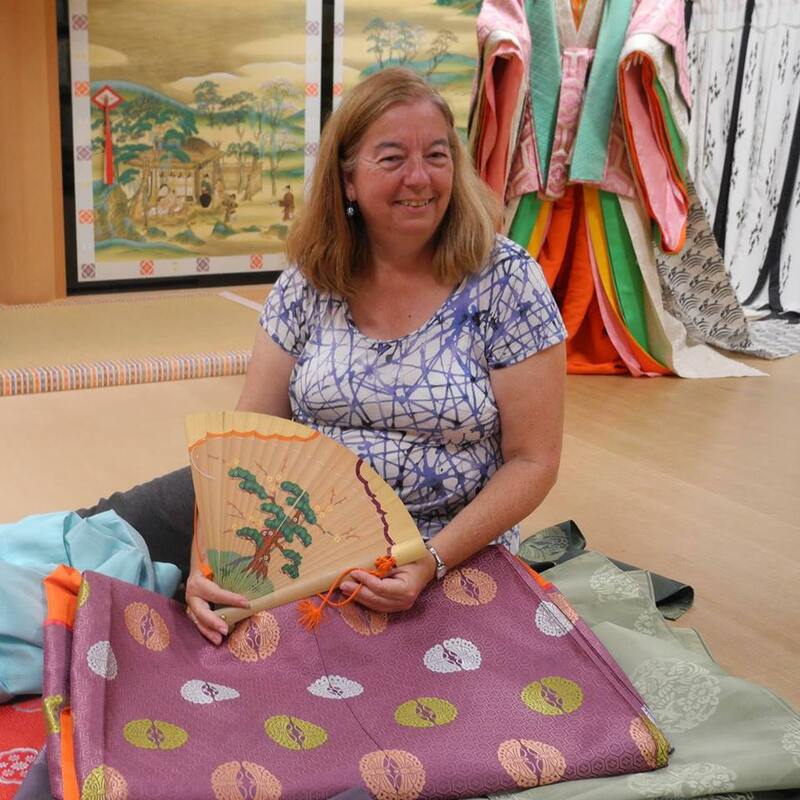 She was elevated to the Order of the Laurel in 2012 for her research into the arts and history of medieval Japan. Wimples and Zukin by guest author Ki no Kotori. Sugoroku table: an easy six-board chest for the carpentry impaired. Taiko: speculation about early performance practice on Japanese drums and Practice taiko made from hardware store supplies. (Photos: Top left, the Phoenix Hall, Byodoin, Nara. Top center, me in full sail at West Kingdom Twelfth Night, photo courtesy of Pete Good. Top right, a charm at Yasaka Jinja shrine, Kyoto. Playing with the pretties at the Costume Museum in Kyoto, photo by Joshua Badgley. Sanjusangendo temple, Kyoto. Jehanne de Wodeford is a 13th century Anglo Norman woman from a manor in Wiltshire, England. Some of her writings on SCA subjects appear below. Copyright 2015 Lisa A. Joseph.